Reporters from Deschide.MD got hold of a SECRET report presented today in the Parliament, behind closed doors. 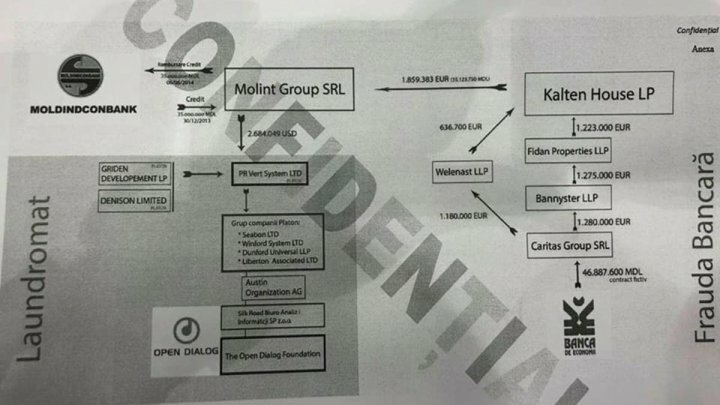 The report is about funding Open Dialog foundation through a money-laundering scheme known as Laundromat, conceived and applied by the controversial Veaceslav Platon. We remind that the Parliamentary Commission was created upon request of MPs from the Democratic Party. This summer, the head of the NGO, Ludmila Kozlovska, was expelled from the EU for being linked with Russian special services. Recently, in Warsaw, delegates from several OSCE states accused the foundation of lobby in favour of dangerous criminals, of use of dubious funds and of supply of military equipment to Donbass. Previously, investigative journalists wrote that „Open Dialog" Foundation - funded by the controversial oligarch Muhtar Abliazov - lobbied in favour of parties led by Maia Sandu and Andrei Nastase in Europe. "Raider number 1 in CIS", Veaceslav Platon, is also on this list.